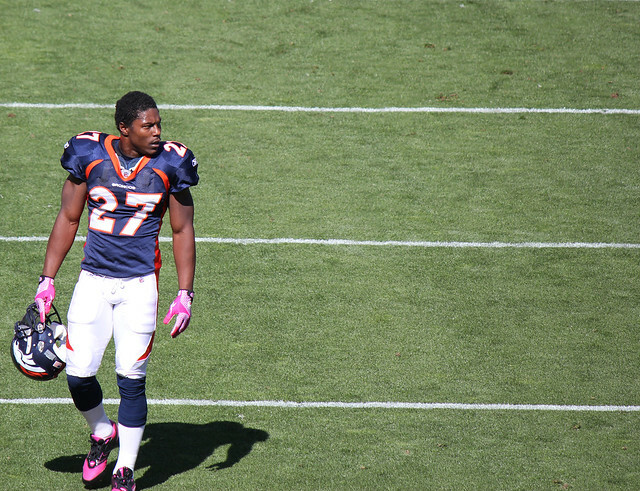 Knowshon Moreno, Miami Dolphins – Coming off late off-season knee surgery the former Broncos back is said to be looking great in camp, which is bad news for anyone who spent an early pick on Lamar Miller. Moreno will be held out of the Fins second pre-season game but is expected to return for the third game. His draft stock took a dive in the pre-season and he could be a value if he works his way in to a full time role. Le’Veon Bell, Pittsburgh Steelers – When asked about Legarrette Blount’s role in the offense Steelers coach Mike Tomlin told the media that “both backs going to get their share” of carries this season. While he wasn’t more specific with the details it’s a bit of a concern for those who are drafting Bell in the first two rounds. We’ll need to keep a close eye on this situation for the remainder of the pre-season. Josh Gordon, Cleveland Browns –Browns GM Ray Farmer told the media that the Josh Gordon suspension verdict is still still a week away. If you have a draft between now and then it’s worth taking a chance on the talented receiver in the mid to late rounds. Julio Jones, Atlanta Falcons – Coming off foot surgery, Jones will make his preseason debut in the Falcons second game. He is still a risky selection early in drafts but he was on an 1,800 yard pace before the injury and his upside is hard to ignore. Charles Sims, Tampa Bay Buccaneers – The Bucs rookie running back injured his ankle in practice and was spotted in a walking boot. The injury is not believed to be significant, but it’s one worth watching. The Bucs are rumored to be using a running back by committee system this season and Sims is expected to be a part of it. Ryan Fitzpatrick, Houston Texans – Case Keenum was seen taking first team reps in Texans camp following the team’s horrible performance in the first pre-season game. Fitzpatrick is still expected to be the team’s week 1 starter but this is an interesting development. Neither should be considered anything more than a fantasy backup at this point. James White, New England Patriots – The Pats rookie back was running with the first team in practice on Wednesday. White is a talented back who can do a little bit of everything and should be a player to grab in the late rounds of your draft, but Belichick’s running back games makes it very difficult to trust any Pats back. Odell Beckham, New York Giants – Beckham recently returned from a hamstring injury and is now participating in live drills in Giants camp. He will be held out of the Giants third pre-season game but is expected to return to action the following game. Adrian Peterson, Minnesota Vikings – Although healthy, Peterson will be held out of the team’s preseason game against the Cardinals. There are no injuries reported and the team is just giving him rest. He should be fine for the regular season. Colt Lyerla, Green Bay Packers – Coming in to the season the talented but troubled tight end was on a lot of rookie sleeper lists, but that will have to wait until 2015 after Lyerla tore his MCL and PCL. Brandon Bostic and Richard Rodgers are currently the front-runners for the Packers starting TE job.